Once upon a time, Wasteland 2 was to be a $900,000 game – held together by rad-tape and iguana-glue. Now it’s practically finished, it’s both “larger and more nuanced” than InXile envisioned even after its nearly $3 million Kickstarter budget was finalised. That’s because Wasteland 2’s eventual budget has been two times the amount it was Kickstarted with. Project lead Chris Keenan pointed out that InXile have a “nicely selling” back catalogue; the Bard’s Tale’s mobile port is a fixture of both the Google Play and iOS App Stores. But Early Access sales on Steam have provided a large portion of Wasteland’s additional funds. 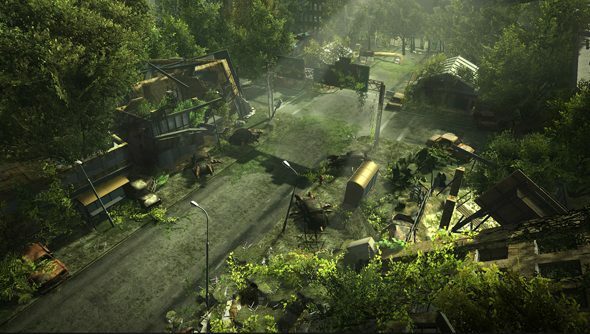 Keenan recalled a time when InXile internally questioned the decision to put the game up for Early Access – but said the team now know Wasteland 2 “would not have been the same without it”. “While Wasteland 2 would have been released months ago without Early Access, it would not have the polish, detail, and scope that we are bringing to you in very near future,” he said. InXile are currently working on a gold master version of the game, and plan to start printing discs later this month. Wasteland 2 is done. But while the majority move over to the Torment: Tides of Numenera team, a skeleton crew will remain to work on post-release patches and a mod-kit. Our Fraser first set foot in the Wasteland months ago, and was “comforted” by what he played. What have you lot made of the beta?